170 pages | 1 B/W Illus. James Paul Gee is Mary Lou Fulton Presidential Professor of Literacy Studies and Regents' Professor at Arizona State University, USA. He is author of a number of books, including How to do Discourse Analysis, Second Edition (Routledge, 2014), An Introduction to Discourse Analysis, Fourth Edition (Routledge, 2014), and Language and Learning in the Digital Age (Routledge, 2011). 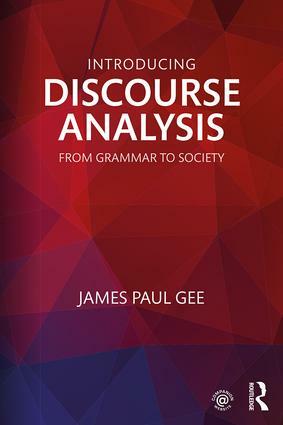 He is also the co-editor of The Routledge Handbook of Discourse Analysis (2011).